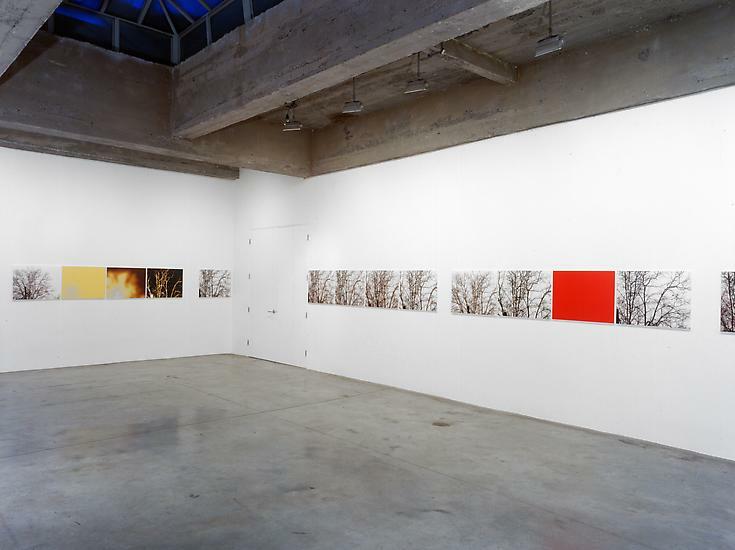 Tanya Bonakdar Gallery is pleased to present an exhibition of new work by Uta Barth. This series of meditative images is loaded with vivid and random interruptions of inverted form and color, exploiting repetition and referencing retinal memory. Materially seductive when viewed individually, the images present a transcendent temporal and visual experience when viewed altogether. 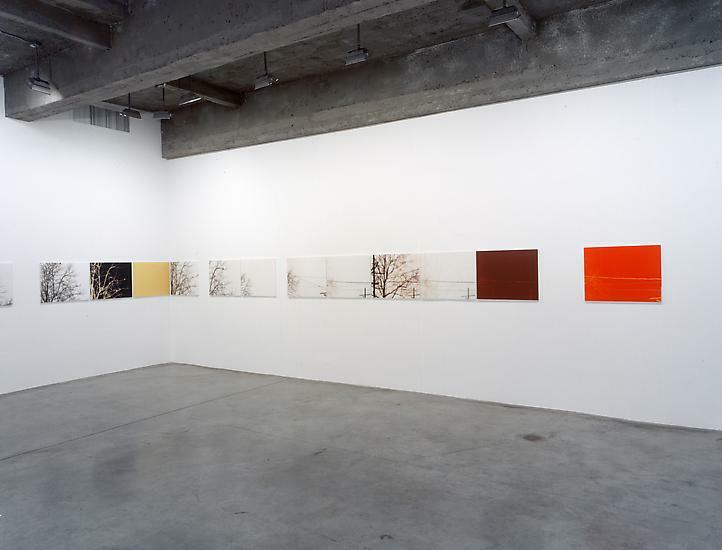 Presented as a single line of photographs installed at a uniform height and spacing around the entire gallery, the series creates a nearly 360-­‐degree ring of images surrounding the viewer. Each image represents a slightly different recording of a single subject, repeatedly photographed over a period of months through relatively little change. This imagery is used to simulate the physiological and cognitive aspects of observation. 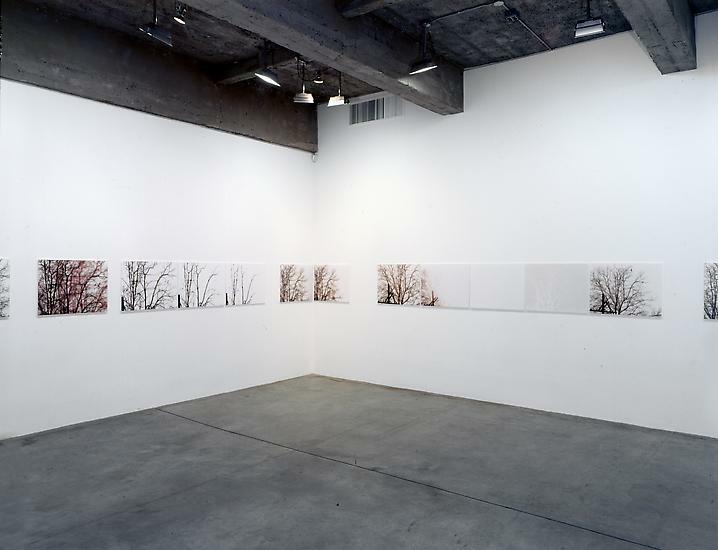 The subject (the denuded branches of a tree, at times featuring one or two birds, sitting or in flight) is meaningless as mere document, but serves as a template for a radically dynamic range of presentation. Near identical repetition is dramatically interrupted by fields of intensely vibrant color, referencing the effects of retinal memory. 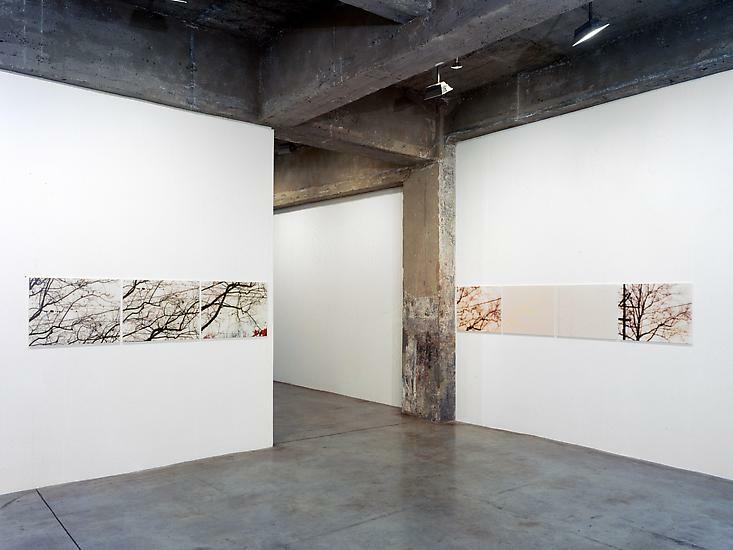 The images function doubly as abstractions and as the physical representation of the after-­‐image. Rhythm and pace is built across and between each picture, then interrupted. A narrative is provoked, but it is one that exists exclusively in real time, both recreating and simulating the act of looking.